Don’t you just love the satisfaction of a perfectly organised event? Wouldn’t you love to be responsible for all the positive reactions of guests as their event runs smoothly? The beauty of event planning can almost be an art, where a considerable amount of effort and time is dedicated to organising and coordinating a memorable occasion. To commence your own event planning business, you will be expected to not only be proficient with the skill of event management, but also have a knack for entrepreneurship. To prepare yourself for the rewarding challenge, here are some things you will need to consider before starting a successful event planning business. There are various types of events that you can tailor your business toward where you can specialise in a specific niche. Event planning not only involves celebrations, such as wedding, birthday or cultural celebrations but also extends to educational, promotional and commemorational events. Your niche should be an area that you are interest in or passionate about and have existing knowledge of its procedures. You can choose to target exclusive events such as baby showers, corporate conferences or even community fairs. The degree to your speciality is dependent on your own level of skill and preference but you should also consider aspects such as the demand for the niche in your area. There are specific certificates and training that you will need to obtain before commencing your event planning business. This includes the general business and managerial skills needed to become a successful entrepreneur as well as developing proficiencies in event planning. Through online institutions such as Upskilled, attain the certificates and qualifications required through online courses tailored to event management and business. Since you can access the Upskilled course content online, you have the flexibility to study anytime and anywhere and around your own personal and work schedule! When developing your business, you will need to consider who are your target customers. Will you be targeting individuals or businesses? Create customer profiles for each of customer segments that will be most likely using your service. This is a great way to visualise your customer when developing your marketing strategy. You should also conduct customer market research and analysis to learn more about your customer’s needs and preferences to further enhance your service. Marketing your business will allow you to formulate and grow your customer clientele. When directing your event planning services to community members, seek out for any online community forums and social media pages as a platform to advertise your business. Networking is also a great way to gain exposure for your business especially when connecting with a corporate customer base. Use professional networking websites such as LinkedIn to promote your event planning business as well as attain advice and tips to run a business successfully. Appraisals also play a large part in marketing. Following a successful event, ensure to ask the event host to leave a review on your social media pages and perhaps even provide a positive testimony for your website! The digital landscape is the new ‘word of mouth’ so be sure to take advantage of it! Event planning involves various aspects required to present a single event where you can’t possibly prepare and execute everything yourself. Through networking opportunities, you will be able to make connections and attain partnerships with catering companies, staging equipment providers, photographers and florists. determine how much staffing that is required per event as well as create a recruitment process to hire reliable and effective work personnel. There are various start-up costs that you will be required to pay for, even before commencing your business. This includes costs such as advertising, legal fees, insurance and employee wages are just some of the various expenses that need to be taken into account. An effective way of acquiring funding is by taking out a business loan to assist you with financing your business. Alternatively, use Kickstarter or Indiegogo to acquire donations from interested community members who support your business. Once you have a clear idea on the processes of your event planning business, you will need to formulate a business plan. This will allow you to measure its viability through conducting an analysis on its predicted profitability over the first quarters. You will also need to identify and estimate your business’ marketing, human resources and financial plan. Set your event fee structure depending on the quality, time and effort spent. When setting a flat rate, consider the variances of each event. 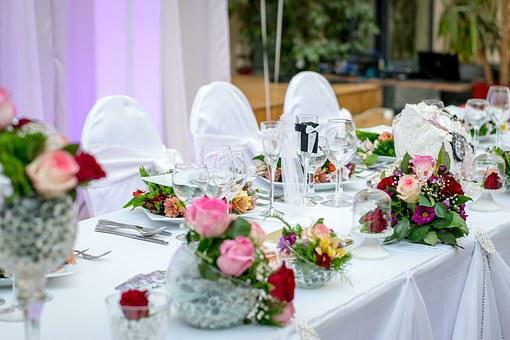 Will you set specific rates depending on the type of function or number of people that must be catered? Perhaps the rate is different per customer and conducted during the consultation? Some event planners base the fee on an hourly rate or according to the expenses that are calculated after the event. You should also determine your pricing to charge lower, equal or above other competitors within the market. Your pricing can help determine your marketing strategy where undercutting the prices allows you attain sales from low budget customers or alternatively you can opt for the luxurious and high-quality market. Regardless of your experience in event planning, it’s not too late to start preparing yourself to start your new business! What tips will you use to commence your event planning business successfully?